Welcome to our first electronic newsletter! We’re excited to share our achievements, efforts and events with you in this more efficient and cost-effective format. We awarded $228,400 this spring! You can learn more about our center on this newsletter’s About Us page and on our website, and connect with us on Facebook and Twitter. 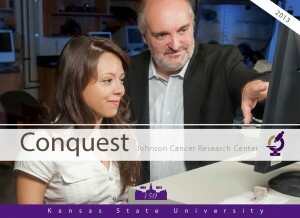 To subscribe to our e-newsletter, send an email with the subject “newsletter” to cancerresearch@k-state.edu. Also check out our annual magazine Conquest! We love hearing what our past students and other friends are up to! Please share your news or favorite memories or photos by emailing Marcia Locke at marcia@k-state.edu. Thanks to our generous donors, we invested $228,400 in K-State cancer research and education this semester! We awarded faculty $105,960 for innovative research projects and $28,000 for laboratory equipment, and we awarded graduate students $88,240 in summer stipends and $4,200 for travel to present their research at scientific meetings. The awardees are listed on our Faculty and Student Award Winner webpages. This is money well-spent! Many awardees leverage our support into national funding and prestigious honors for their research, helping advance K-State to a top 50 public research university by 2025. We were also pleased to recognize 50 undergraduate student researchers at our annual Cancer Research Awards Banquet on April 19. It was a fun and moving night, as we honored the students, their families and faculty mentors, and the donors that made the awards possible. A photo gallery of the banquet is on our website. To help K-State fight cancer, please visit our Join Us page, where you can print a donation form or give online. Private donations make it possible for our center to advance cancer research at K-State, promote excellence among our faculty and students, and achieve our vision to take a leading role in conquering cancer in our time. We must share the many achievements of our faculty, students and alumni! A K-State professor’s research on breast cancer stem cells may help improve survival rates by preventing cancer recurrence and metastasis — the major causes of death among patients. Read the full story from K-State Communications & Marketing. Brianne Pierce, Wichita, junior in microbiology and pre-medicine working in Jeroen Roelof‘s lab in biology, earned an Honorable Mention in the national Barry Goldwater Scholarship competition. She plans to earn an MD/PhD in oncology & conduct research & medical care. Brianne was also one of only 10 students selected to represent K-State at the Undergraduate Research Day at the Capitol in Topeka. Christine Spartz, Ellington, Conn., sophomore in chemistry working in a crystal engineering lab with Christer Aakeroy, chemistry, was nominated for the Barry Goldwater Scholarship. Damien Downes, Australia, doctoral student in the interdepartmental genetics graduate program working in Richard Todd‘s lab in plant pathology, won first place in session two of the biological sciences oral presentation competition at the K-State Research Forum. * Damien, who studies genetics using a fungus, also won a Student Poster Prize at the 10th International Aspergillus Meeting and a Best Student Poster Award in the Functional and Comparative Genomics and Gene Regulation category at the 27th Fungal Genetics Conference. Emily Archer Slone, Manhattan, doctoral student in microbiology working in Sherry Fleming‘s lab in biology, won first place in session one of the biological sciences oral presentation at the K-State Research Forum. Josh Umbehr, MD, Wichita, has been named a 2013 Top Doc in Concierge Medicine by Concierge Medicine Today, which selects only a few U.S. physicians in the concierge medicine and/or direct pay business model environment each year for this honor–only 15 this year. Josh graduated from K-State in human nutrition in 2003 and then attended KU School of Medicine. While at K-State, he was a Cancer Research Awardee and studied the effects of vitamin A on lung cancer. 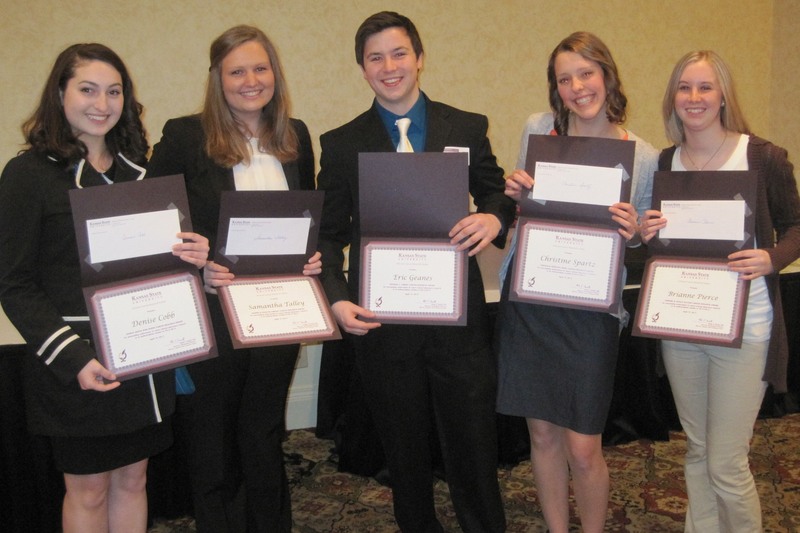 In 2012, he received the College of Human Ecology’s Young Professional Award. Please report achievements to Marcia Locke at marcia@k-state.edu. *The 18th Annual K-State Research Forum included oral and poster presentations from more than 89 graduate students and 18 undergraduate students from across disciplines. 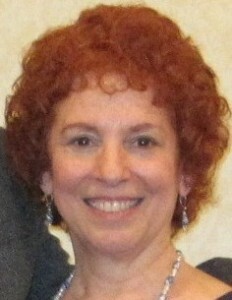 We bid farewell to our assistant to the director Jan Galitzer, who is retiring in June. Jan joined the center in 1997, when it was directed by Dr. Terry Johnson, who passed away just four years later. She was very instrumental in building the center’s success…and even its current facility. She successfully managed its operations and transition to a new director after Dr. Johnson’s death. Her dedication to the center has been very evident and her years of valuable service much-appreciated. Jan says she looks forward to spending more time contributing to community organizations and with family. We wish her a wonderful new phase of life! We welcome our new associate director of development David Spafford. David went to high school in Belleville, Kan., and graduated from K-State in political science & social science in 1990. 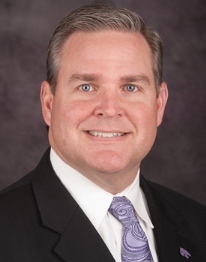 He has been a fundraiser at multiple universities, including at K-State from 1994 to 2000. He and his wife Bryanna (’99) have six children and a farm. They are active with their church and enjoy outdoor activities like going to the lake and K-State football games. David replaces Tracy Robinson, who is now the director of development for university programs at the KSU Foundation. We are also pleased to welcome new faculty researchers Michael Veeman and Yuntao Zhang, biology, and Lawrence Davis, biochemistry & molecular biology, and advisory council members Hank Doering, MD, Manh. ; Lynn Wagner, Dodge City, Kan.; and Nancy Wolfe, Monument, Colo.
Tough Enough to Wear Pink Spaghetti Dinner – Sun., July 14, 5-7:30 p.m.
Tough Enough to Wear Pink Rodeo – Fri., July 26, 8 p.m.